My mom brought a couple to the cabin 2 years ago. They still work and we love them! 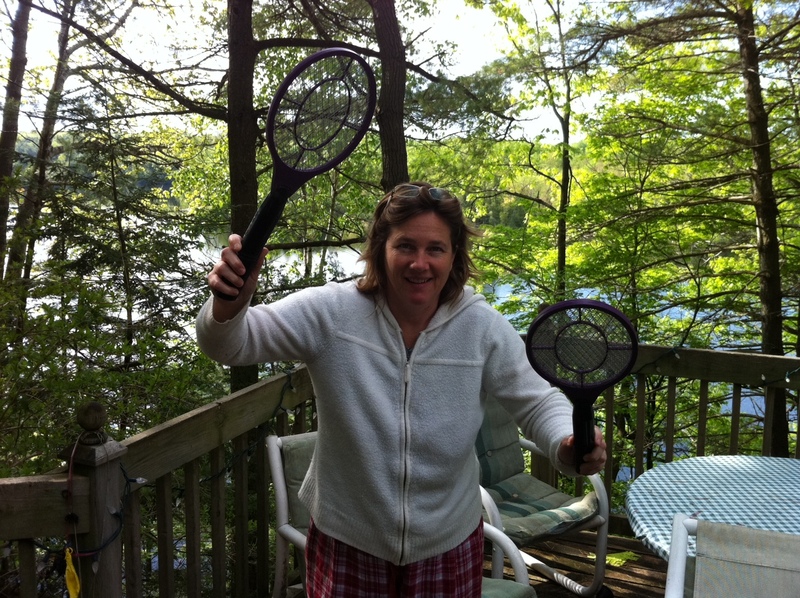 I have an Uncle in law who has every kind of bug zapper. He laughs every time that big blue light up zapper makes a sizzling sound. And, even though I am a nature lover, it is a comforting sound to fall asleep to when you are out ‘camping’ in the trailer. Seems like there are a bunch of us that love our zappers-my friend Alison tweeted me to say her husband “pimped” hers and amped up the shock value. Love your how to build a fairy house blog post, bookworm Smith and don’t feel guilty about the zap–you can still be a nature lover even if you love to zap mosquitoes!